- FrancesCassandra: UK fashion, beauty and lifestyle blog. 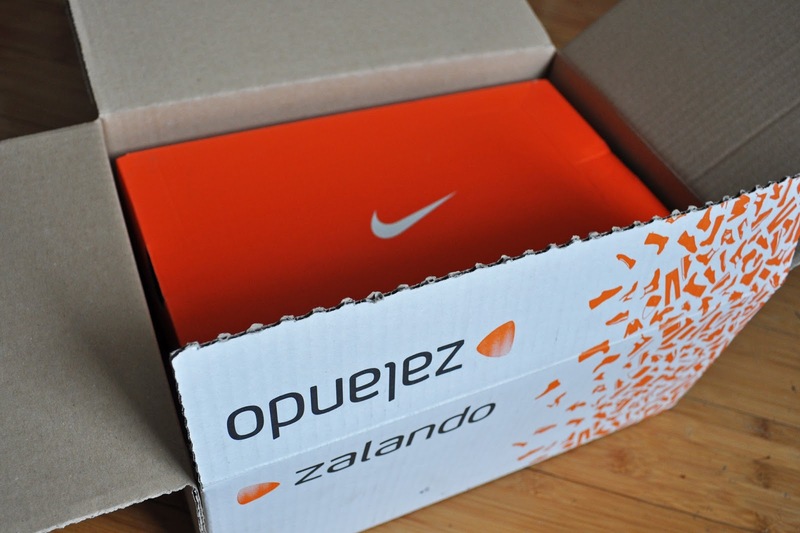 : Review: Nike Trainers from Zalando + Fitness Posts? 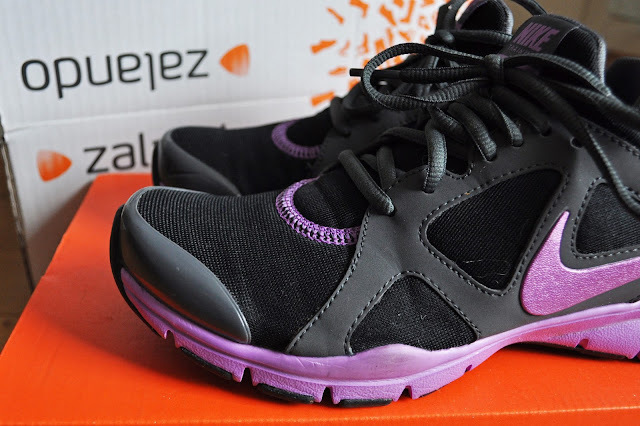 Review: Nike Trainers from Zalando + Fitness Posts? I class this blog as a fashion, beauty and lifestyle blog, however, I often lack in the lifestyle department- I just have never really found anything exciting about my lifestyle worth blogging about! That being said, I recently embarked on a fitness journey- not to lose weight or anything- just, after a year or so of unfortunate events in my life that left me feeling a little lost, I decided it was time to pick myself up and do things that would make me feel good, and this is certainly one of them! I just wanted to ask my readers if they would be interested in reading posts to do with health and fitness? These might be recipes, sportswear posts, my regime, and general health and fitness tips that I have picked up. Do let me know! I have also already created a secondary Instagram account (my personal one is @FrancesCassandra) where I have been posting pictures of my food and progress, if anybody is interested. If you would like to follow, my username is @FrancesCassandra_. Anyway, on to what this post is really about. I thought a good way to start would be to show you the footwear I have been using, which was kindly sent to me by Zalando. I love it when fashion retailers stock sportswear; I feel that too many companies overlook it, but as well as stocking a full range of regular women's fashion, Zalando also has a whole section dedicated to sportswear from lots of well-known brands. 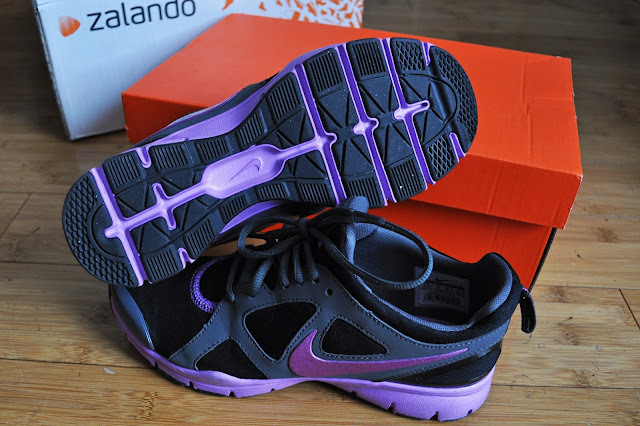 I am a bit of a trainer-phobe and have always thought that they look ugly, but I actually think Nike makes a lot of nicely designed trainers in some lovely colours. The purple-ness of these ones drew me in right away as it's my favourite colour haha! The Nike In-Season trainers are really lightweight and breathable, with a good layer of cushioning on the inside, making them perfect for running and training in the gym. Zalando has now become my go-to website for browsing at gym wear- I currently have my eye on ALL the Nike sports bras and shorts, and this sports bag to carry all my things in. Have you checked out Zalando? Don't forget to let me know if you would be interested in seeing some health/fitness/lifestyle posts from me! Trainers that you won't want to resign just to the gym! Yes! I always want someone to post about fitness! :D I have an instagram too (@beingthinisphat) and I've wanted to start blogging properly about fitness. Those trainers are absolutely gorgeous! I love fitness posts, so I'm off to find your Instagram accounts now! A good pair of trainers is definitely an essential! Love these trainers! I took up running last year (like you, not to lose weight) for mental well being and health. I stopped for a bit but have started up again and was super excited when I got my run trainers! Yes - post about fitness, runs and healthy eating! I love food, and cook very healthy fun recipes, always interested in reading about more! TK Maxx Liverpool Silent Disco. My Ultimate JD Sports Wishlist. The Colour Run- The Happiest 5K on the Planet. Jewellery Review: Boho Betty Wrap Bracelets.